Manually plotting out your support and resistance lines (or zones) is usually the best way to go, assuming you know how to properly plot them. However, many good indicators have been developed that can handle this task pretty well. The importance of incorporating support and resistance into your trading cannot be overstated, as the market usually has, at least, a brief interaction with any important support or resistance level. Note: Price will sometimes race right through support or resistance levels like they don’t exist, especially in the Forex market. To learn why this happens and more support and resistance tips, download my free eBook, How to Choose Better Support and Resistance Levels. Horizontal support and resistance levels are not the only levels that you should be concerned with either; often, moving averages (e.g. , the 50, 100, and 200 SMA) will provide dynamic support and resistance, although these levels are far less dependable. In addition, trend lines often act as support or resistance. You don’t need to download anything (other than MT4) to plot out dynamic support and resistance or trend lines, as the default trading platform is equipped with moving average indicators that you can just drag onto your charts, as well as trend line drawing tools. For the purpose of this article, we will focus on horizontal support and resistance indicators. I personally plot all of my horizontal support and resistance levels manually, and I honestly believe that is the way to go. However, if you use pivot points, there are a few good, free indicators that can automatically plot these points for you in MT4. The best one that I’ve seen is vS_PivotsD (pictured below). Note: I’ve also added the newer version of the indicator, vS_PivotsD_v4. I like the original version of the indicator more, but I’m adding the newer version here now in case some of you prefer that one. This handy indicator automatically plots your pivot point, based on the Daily chart or Fibonacci levels. It plots the previous day’s high and low, S1-S3, R1-R3, and all of the mid-range support and resistance levels. It can even plot inner and outer Fibonacci levels for you. One of the reasons I believe this is the best support and resistance indicator for MT4 is the fact that there are a ton of options to customize this indicator to your preferences. There are 80+ fields that can be edited under the “Inputs” tab alone. Don’t let the abundance of options scare you away from this indicator, though. It’s actually very simple to implement, while still providing options to change colors, display positions, custom session times, etc…. I only had to change a few settings to get the display in the chart above. After installing, you’ll probably want to bring up your period separators (Ctrl+Y), and make sure the indicator’s new day is aligned correctly. If it needs to be adjusted, simply edit the “LocalTimeZone” or “DestTimeZone” variables. The default settings were correct on my charts. Download and extract the custom vS_PivotsD or vS_PivotsD_v4 indicator. Place it in your “Indicators” folder (File > Open Data Folder > MQL4 > Indicators). Drag the vS_PivotsD or vS_PivotsD_v4 indicator onto your chart. Adjust the settings and colors, if needed, and hit the “OK” button. You may have to play around with the settings for a bit to get the appearance you’re looking for. Although there are many options, the lesser-used features are set to “false” by default. I recommend setting the “ShowPanel” and “ShowDayCandle” variables to “false” for a cleaner chart. In my experience, this is the best support and resistance indicator for MT4. I haven’t been able to find any good swing point support and resistance indicators. There are a few options available, but they aren’t very good. I have two ideas that I believe would make excellent support and resistance indicators, but I need a talented MQL4 programmer to code them for me. Leave a comment if you think you’re up to the task. I’m glad someone found this useful. 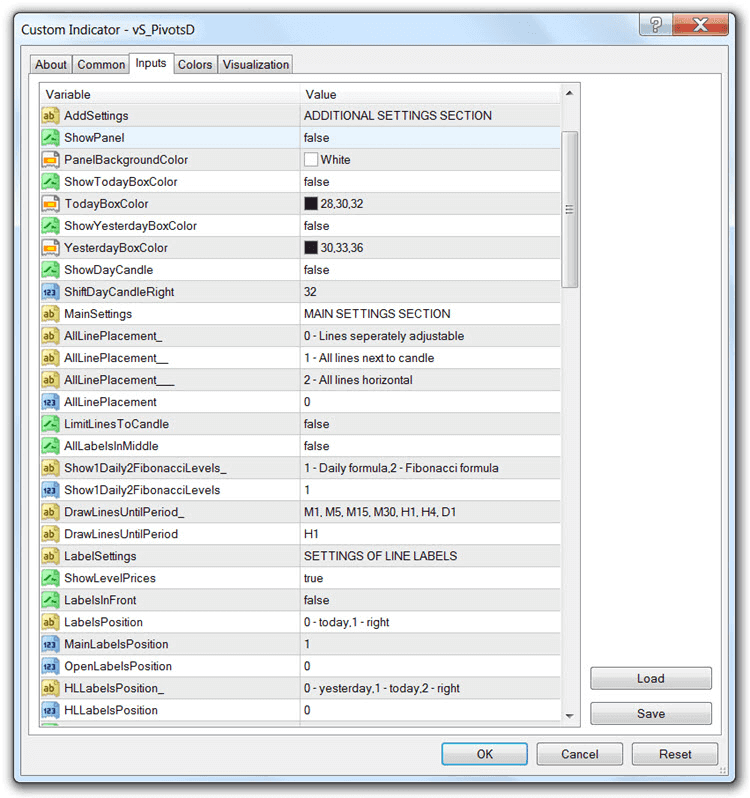 Just copy the templates you want to keep, transfer them to your other computer, and add them to the template folder of your new MT4 installation. There is probably one out there that does that, but I haven’t used it. Edit: Mido got this one working for us again. No problem. Unfortunately, the new builds of MT4 do not support these old EAs and indicators (don’t ask me why they didn’t make them backwards compatible). With that in mind, if you like these indicators don’t update your MT4. Sorry. I don’t have the original exe. I did find it online, but it still didn’t work with the new MT4. I’m currently looking for another indicator to replace this one. I wish I knew how to just edit this one, because it was good. i want to know if you have indicator free? Sorry, Mark. This one isn’t working anymore, and I haven’t been able to find a good replacement. Thank you, Mido! I’m sure that will make a lot of people happy. I tested it, and it worked for me, so I’m going to upload your edited file to my site, and also keep your dropbox link available. Thanks again. Hello there Mido, please can you add alert to this indictor at all the levels, so that once price reaches a particular level there is an alert, and cn this happen only once per candle/ Itwould be really nice if you could do this for us non Programmer traders. CAN SOMEONE TELL ME WHA TALL THE LINES STAND FOR? Thanks, Mido! I missed this one. Good to see the community looking out for each other. Followed the steps (twice) but don’t see it showing up in the indicator list.. Should be named ‘vS_PivotsD’ I guess but not in there after restart. Am I doing smth wrong? I just re-downloaded it and installed it in another demo account. It still works fine for me. If you installed it into the right folder, it would show up even if it was broken, so that leads me to believe that you haven’t installed it into your “Indicators” folder. Alternately, while your terminal is open, you can go to File > Open Data Folder > MQL4 > Indicators. Add the vS_PivotsD.mq4 file to that folder and follow the rest of the instructions. Thank you for your recommendations and reviews which are excellent. i put it into my Indicators folder and it is not working idk why any ideas ? I just added it to a new demo account. It’s working fine for me. Keep in mind that this indicator only works on H1 or lower time frames. It’s perfect and much appreciated…….but……a weekly or monthly option is needed…PLEASE. Thanks for commenting. I didn’t create this indicator, and I’m not a coder. I only know enough to edit from time to time and get myself into trouble. That being said, anyone that can add weekly and monthly pivots to this indicator is welcome to. Please send me the updated file too, so I can share it with everyone. any progres for D1 TF? Thanks for commenting. I’m not a coder, as I mentioned before. Starting a thread at FF to see if we can get some help with this is on my list of things to do. If someone else beats me to it, please share. Hope this helps. Thank you for sharing this wonderful indicator. Thanks for reading and commenting. Unfortunately, changing “DrawLinesUntilPeriod” to D1 doesn’t display the pivot point, support, and resistance lines of the last weekly candlestick, which is what Phil and Bojan are asking for. It simply displays yesterday’s info over today’s candle. We need someone to add an option to display weekly and monthly pivot points as well. 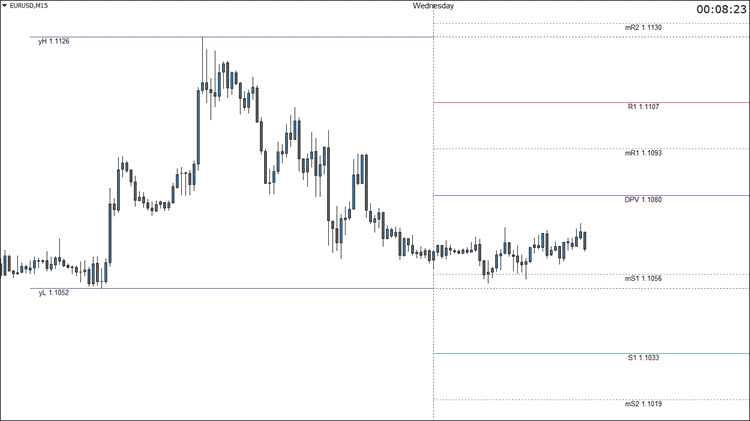 It would be nice to have the option to display any combination of daily, weekly, and monthly pivot points. It should work for any MT4 platform. Do you mean a tutorial on how to use pivot points? I haven’t written much about pivot points. I’ll try to write up a tutorial soon – maybe Monday. Update: Check out my post, 3 Profitable Pivot Point Strategies for Forex Traders. Thanks for the kind words and thanks for reading. I love to hear that traders are finding value in these articles of mine. Thanks for the kind words. I try to respond to every comment as soon as possible. If I’m vacationing or out of town, sometimes I can’t respond right away. I started this website to help other traders and to help solidify the lessons that I’ve learned. Over the years, I think I’ve helped more traders in the comments than the actual articles, so I want to encourage more of that in any way that I can. You’re a STAR Chris!!!! Great indicator and overall great work helping us traders with your notes/guidelines. Thanks a stack pal !!!! Thanks, Sylvester! I do my best. I’m glad I could help you. Thanks for the comment, Precious. I’m sure alerts could be added to the levels, but I’m not an MQL4 coder. I only know enough to do some minor editing in some cases. You’ll have to get someone else to do it for you. Are there any programmers on here that would like to help and improve this amazing indicator? It would mean a lot really to us non programmer traders. You’d probably have better luck finding a programmer at the Forex Factory. No problem, Ken. I’m glad you’re finding this useful. I just read your post and downloaded this indicator. I´m programmer and I can help making the improvements necessary. The main question from my side is. Is it really work for trading? I mean, I already saw a lot of indicators and until now, nothing with a good results. I´m trading using Binary Options, is it worked for it? Try it out to see if it works well for you. Also, this indicator is for MetaTrader 4. If you base your binary option trades off of a MT4 chart, then it could be useful to you. Otherwise, it will not work for you. I’ll try to check about it today evening. I really think that I can use it for BO together with my trading platform. Please let me know how you exactly use it (with some screenshots) and what do you all expect to get the alerts. I’d like to try to help all as well. You just trade these levels the same way you would trade any other support and resistance levels. I don’t use alerts, but I think Precious wanted alerts when price touched any of the levels. Come to think of it, I think I saw a newer version of this indicator somewhere and someone had already added alerts to it. I’ll try to find it. Update: I found the newer indicator, vS_PivotsD_v4. I don’t like it as much as the original, which is probably why I haven’t added it before. I’m going to add it now to give you guys the choice. It doesn’t have alerts, though. I must have been thinking of something else. Hi does anyone know if this is available for Metatrader 5? I’ve only been trading about a year and am used to MT5 now but im noticing there are way more indicators being developed for mt4. Should i move back to MT4? Thanks for the comment, Will. As far as I know, this indicator is not available for MT5. The community originally rejected MT5 when it was first released because it prevented traders from hedging among other things. Now, hedging isn’t allowed in the U.S. anyway. The majority of brokers still offer MT4 instead of MT5. I believe in the coming years that MetaQuotes will end support for MT4 and brokers will be forced to use MT5 or something else instead. Anyway, that’s why there are a lot more indicators and EAs for MT4. You can always ask one of the programmers at the Forex Factory to code MT4 indicators and EAs so that they work with MT5 (or pay a coder). I started out with MT5. I moved back to MT4 for the same reason you mentioned. I still like MT4, but it’s lacking a few features that premium charting platforms provide. Right now I’m testing Trading View. I’ll probably have a review of it in a month or so. Thanks for the comment, John. This indicator does not use alerts of any kind. Chris, send me the details you want to see in your ultimate SR indicator. I will code it for you. That would be awesome, Eric! I’ll send you the details. This may be a silly question, but did you extract it (unzip it) before you placed it into your folder? If you did, check that you placed it into the correct folder (follow the instructions above). I just re-downloaded and installed this (version 4) on a couple of my MT4 platforms. It works fine for me. I’m using updated MT4 platforms (build 1065 at the time of writing this). I also tried it on a build 950 version. Worked fine there too. It could be your broker’s version of MT4, but that’s unlikely. It’s more likely that you did something wrong during installation. Have you changed your computer’s UAC settings lately? Use the instructions I outlined above to make sure you’re putting the file in the correct folder. Links are under the “Installation Instructions” section of the post. I have some doubt about “swap long” n “Swap short”. Hi Chris, I am inspired by your work and it is the first time visiting a website and being drawn to it immediately. Your knowledge and giving spirit to share what you know and have experienced about the forex market is invaluable. I wish I knew you in person because you one of the guys I would befriend and get as much inspiration to get ahead in life. Keep it up my man and may God richly bless your humble giving spirit. Thanks for the very kind words, Pakamisa. I do my best. I’m happy to hear that this website has helped you. Thanks for reading and sharing. Stay tuned. I’ll be adding more features, reviews, and (of course) free educational articles in the near future. If you hit Ctrl+Y in MetaTrader 4 you will pull up your period separators (if they’re not already visible on your chart). Once on your chart, make sure the indicator starts the period in alignment with your period separators. If it doesn’t, you can make adjustments in the settings of the indicator to compensate. Sure. The levels like mR1 and mS1 are midway resistance and support levels. They are not as important as the regular levels in my experience. Can this indicator be used with success for binary options? Sure… if you use MT4 charts to make trading decisions for your binary options plays. thanks for your info.. can i know what is the importance of dpv? I’m not sure what you mean by dpv. Chris, he is referring to the DPV line when the indicator is attached to chart, which Mido already said DPV=Daily Pivot. May be he wants more education on what importance is Daily Pivot in trading. Can one refer him on your behalf to your write up on pivot points trading 3 Profitable Pivot Point Strategies for Forex Traders? Yes, of course. lol I’m not sure what I was thinking. I’m sure azri has moved on, but I’ve added another link to it. Hello, Souheil. The “m” is used to denote the median level. So mR2 is the middle level between R1 and R2. The middle levels in these pivot point calculations are not typically as strong. However, price commonly has at least some interaction with these “m” levels, which is why many traders prefer to plot them. Hey, Ben! I’m glad I could help you. Both types of levels are relevant, however, the main levels are stronger. The middle levels are plotted because price often reverses or bounces off of those levels. hi chris, can you please post instructions on what to change in the “input” column in the settings of the indicator. the one posted here is different to the one i have downloaded from the modified fixed one. I’m not familiar with the modified one. You’ll have to do a little experimentation with a demo account. The most important feature is alerts, any coder who can add this feature please ?? It should alert 5 pips before it touches any SR or M levels, this addition would make this indicator worth a million bucks! Thank you so much for this Chris. Btw, why you prefer the old one rather than the newest one ? The original indicator is less complicated to use. I think there was something else having to do with the color settings as well. I don’t remember exactly. Sorry for the late response. I’ve been away due to a back injury. Thanks for the kind words, brother. Best of luck! Get well soon bro ! Which version of the piviot indicator i can download and attach to my mt4, as the post and indicator seems a bit old. Either version still works fine. V4 just has a few extra features. 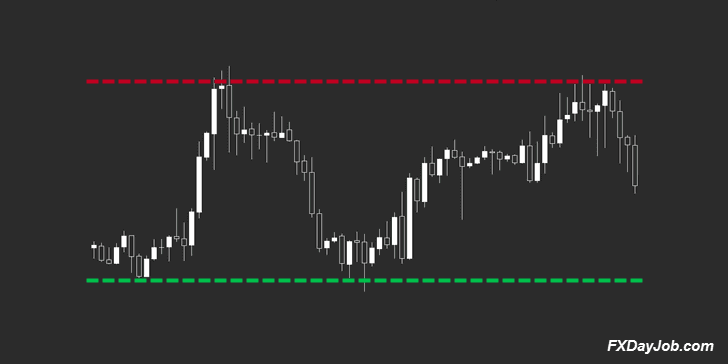 Is there any way I can get something that can show the Suppport/Resistance levels on MT4 phone app? As I use this far more than I do on Desktop…. Sorry I missed this one. To anyone still interested in this question, you cannot run custom indicators on the MT4 mobile app. Thanks for the kind words, Pablo. I’m glad you’re finding the site useful. Good luck! Thanks for the kind words. I try to do what I can. I’m glad you’re finding this indicator useful. Good luck!